We all are living in an interdependent world today where issues of human rights are often highlighted in the international media boosted by the new social media. 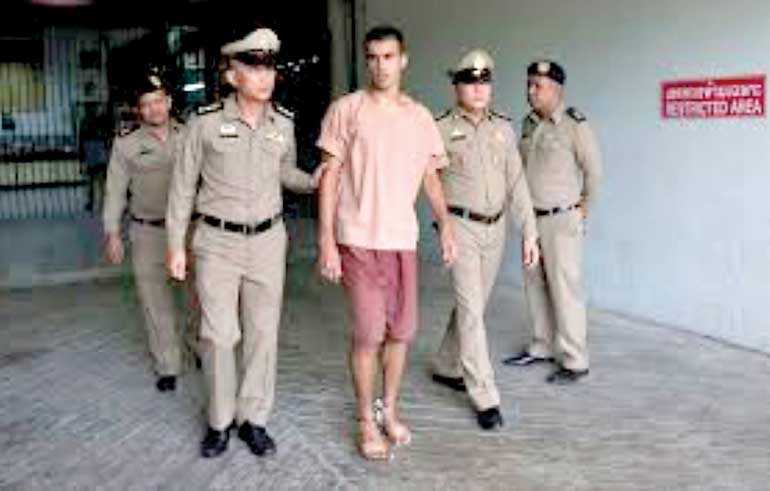 The issue of Hakeem al-Araibi, a refugee living in Australia from Bahrain, and arrested in Thailand on 27 November 2018 when he was there on honeymoon, was such an important case highlighted all over the world and particularly in Australia, New Zealand, Thailand, UK, Canada and Europe. After over two months of incarceration, Araibi was finally released on 11 February 2019. The Thai authorities dropped the extradition charges requested by Bahrain, particularly under the Australian diplomatic efforts. Human rights diplomacy in this case however was not limited to the Australian authorities. There were key individuals, sports organisations and media outlets apart from the usual human rights organisations/campaigners who influenced his release. The Thai authorities were also finally involved in diplomatic efforts with Bahrain. Born in Bahrain in 1993, Araibi was a well-known professional footballer playing for the Bahrain national team before fleeing the country in 2012. He finally came to Australia in 2014 and lives in Melbourne having officially obtained the refugee status. The reason for fleeing the country was alleged persecution and baseless prosecution charging him for vandalism of a police station with others during the famous Bahrain uprising in 2011/2012. Bahrain is a country with Shia and Sunni populations engulfed in frictions. While Shia followers are the majority, the political system is controlled by Sunni authorities. As a footballer, Araibi has always believed that football and sports could bring the two communities together particularly among the youth. This is like cricket or sports possibly playing a positive role in reconciliation in Sri Lanka. However, on matters of discrimination and democracy, Araibi has been outspoken while his brother Emad being more vocal and an activist. In recent years, there have been movements asking for greater democracy and freedom in Bahrain. Those were undoubtedly related to the Arab Spring movements, nevertheless had local issues involved. When protests were unleashing beginning 2011, Emad was directly involved in street protests. When the police came after Emad at their home, Araibi was arrested instead in Emad’s absence. This is a common story in many similar countries including Sri Lanka. Araibi was later released as he was a very important football player. In the following year when many footballers and sportsmen were arrested, harassed and tortured, Araibi himself became outspoken. That was the apparent reason for his final arrest in November 2012. He was going to a Café and the police came and arrested him for the apparent involvement of vandalising a police station in his home town, Manama. This was based on a supposed confession of his brother Emad. But at the time this incident happened, Araibi apparently was playing a televised football match. During this detention, he was allegedly tortured. He told a German broadcaster that they spent three hours hitting him hard on his legs while saying ‘you will never play football again with these legs’ (Wikipedia).1 But he was resilient and soon recovered. He was released on bail and was able to play again to the national team in late 2013. That is how he managed to get the opportunity to flee. In December 2013, when he was in Qatar to play for the West Asian Football Championship, he fled. He fled first to Iran, then to Malaysia, and then to Thailand and finally to Australia where he sought and received refugee status in 2017 after three years of careful processing of the case. As a refugee in Australia, Araibi had rights protected under international law and conventions. He could travel with his official documents. Although many authorities and countries are unaware of this situation, a recognised refugee of a country could not be issued with a Red Notice for an alleged offense perpetrated in the original country. Perhaps his status was not clear even to the Interpol first. On 27 November 2018, Araibi and his recently wedded wife travelled to Thailand to enjoy a belated honeymoon. They were both arrested at the Bangkok airport. Later the wife was released while Araibi was charged with extradition orders from Bahrain. He was nevertheless allowed the opportunity to defend. A Thai human rights lawyer appeared to defend him even without a fee at first. How did they know about his arrival? It is said that some officers in the Australian Interpol informed the Thai authorities, even without knowing the situation and refugee rights. Although the Interpol rescinded the red notice having realised the mistake, the Thai authorities kept him in custody because the Bahrain authorities had requested his extradition. The argument was that he was a convicted offender or a ‘criminal’ under laws of Bahrain. Thailand has extremely cordial relations with Bahrain with even mutual business interests. Understandably therefore, this was not a request that the Thai authorities could easily refuse. There were other human rights issues related to Araibi’s case. (1) What Bahrain was talking about was not purely a criminal case, but a political one. (2) Araibi was convicted in absentia without fully appreciating the facts in his defence. (3) He was obviously tortured in custody in Bahrain. (4) Araibi was discriminated and persecuted with many others given their minority religious status. (5) He had a valid claim that he would be tortured if deported to Bahrain. Diplomacy related to Araibi’s release worked at three levels – top, middle and bottom. The middle level diplomacy was the most effective led by professionals and professional organisations related to football. Australia’s former Socceroo’s captain, Craig Foster, played a key role in the whole release. He is a football analyst and a human rights campaigner. He influenced the Australian government and the opposition on the issue, coordinating with Araibi’s wife. He shuttled between Melbourne, Bangkok and Zurich to influence different football communities and particularly FIFA. Their sane voices were influential in Bangkok. It was a campaign that succeeded without much exaggeration or castigation of third world countries, Thailand or even Bahrain. The only extreme criticism was of Araibi’s shackling in Bangkok. Shackling undoubtedly is despicable, but I have seen shackling even in Australia for perhaps security reasons. I highlight this aspect to emphasise the importance of human rights diplomacy without merely relying on ‘naming and shaming’ and castigating of third world countries or governments in toto. There can be instances where strong campaigns are necessary, but with reasoning and necessary balance. Otherwise extreme criticisms can be counterproductive, in my opinion. Amnesty International Australia compiled a very useful petition signed by over 50,000 people which was handed over to Thai authorities. There were various other campaigns launched by international and Thai human rights organisations that also resulted into nearly a million tweets over the issue. Human rights organisations led by Bahraini activists themselves in London and elsewhere had every right to voice their concerns and that was useful for others and for the future. The key factor however was the Australian intervention and diplomacy on the matter. As Araibi was an officially recognised refugee without any dubious record, it was rather the duty upon Australia to intervene on the case. It was quite delicate as the matter involved three countries. Australia’s relations with both Thailand and Bahrain are extremely cordial and Australia is also not a country vociferous on all international human rights issues like some Western counterparts. In terms of human rights diplomacy, Australia’s positive image both with Thailand and Bahrain was extremely helpful. Both the Foreign Minister Marise Payne and Prime Minister Scott Morrison played key roles, making phone calls, having meetings and writing letters. When it came to public statements those were carefully worded. Australian diplomacy not only extended to Thailand but also to Bahrain. Perhaps that is where the final solution was sought. However, the Thai government also had communicated with Bahrain in seeking as they called a ‘win-win solution’. Hakeem al-Araibi’s detention and release may appear a simple case of human rights where diplomacy could work. However if that diplomacy had failed, at least one person’s human rights would have been in jeopardy. It is also not only the diplomacy of the Australian government that this article is emphasising. First and foremost it was the diplomacy of Craig Foster and his football colleagues that worked and influenced the others to follow suit. There was another important event that guided the cordial relations between Australia and Thailand. That was the rescue of a junior football team of 12 boys and their coach from a Thai cave where they were fatally stranded in June-July 2018. Dr. Richard Harris and Craig Challen, two Australian divers had played a key role in this rescue. They directly wrote to the Thai Prime Minister requesting Araibi’s release. This Australian-Thai cooperation during the cave rescue proved extremely helpful in Hakeem al-Araibi’s release. It appears that those who are helpful in third world matters apparently have more influence in resolving human rights issues than those who behave otherwise. That is the final lesson.